By @SimonCocking. 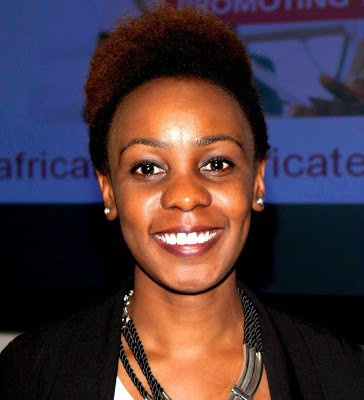 Great interview with Eunice Baguma Ball Passionate about #Africa,#Startups & creating social impact through #Tech. Community developer. #TEDx speaker. Founder of @africatbn A London-based social enterprise working to strengthen the African tech ecosystem by promoting investment, skills & collaboration with the UK. I’m Eunice Baguma Ball the founder of the Africa Technology Business Network , which is a London-based social enterprise working to strengthen the African tech ecosystem by promoting investment, skills and collaboration with the UK. My background is working in the mobile and digital space mainly in East Africa where I managed projects delivering mobile banking and payments projects for banks and telecoms as well as in the energy and healthtech space. It was here I was able to see first-hand the impact that technology, particularly mobile is having in enabling delivery of services to under-served communities, which set me on the path to championing and promoting Africa tech sector. Moving to London in 2014, I found that whilst there was growing interest in Africa generally as an investment and business destination, there wasn’t a platform specifically highlighting the opportunities in the Africa technology sector. Also once I got involved with London tech ecosystem, I immediately saw that there would be great benefits in connecting entrepreneurs here with the entrepreneurs and the startup ecosystem in Africa. I therefore went on to set up the Africa Technology Business Network with a mission to enable collaboration, skills transfer and investment between the UK and Africa technology ecosystems. The Africa Tech Forum LDN is a one day conference showcasing the most exciting technology opportunities that are unfolding across the African continent to the global business and investor. We held the inaugural Forum on 22nd June as part of London Tech Week and brought together 150 technology business leaders, investors and entrepreneurs to share success strategies for unlocking the emerging African tech opportunities with focus on fintech, renewable energy, mobile and digital. How are you creating social impact through tech? Our key objective as an organisation is supporting entrepreneurs and businesses creating technology-based solutions for the African market that generate financial opportunities as well as create social impact. A great example is one of the startups we’ve supported in the past SafeMotos, whose solution is an “Uber” for motorcycle taxis which account for 80% of road accidents in Rwanda. SafeMotos is helping to prevent road accident deaths by analysing drivers’ behaviour and connecting customers to the safest drivers. What’s different / exciting about African Tech? I think what is different and exciting about Africa Tech is how it is providing a means to solve some of the big challenges and allowing Africa to leapfrog traditional models to more frugal, resource-light solutions that meet the continent’s unique needs. As one of the panellists at Africa Tech Forum LDN put it “In Europe sometimes you see solutions looking for problems while in Africa you have no shortage of problems to solve” So I think the sheer multitude of challenges that require solutions from Education, to health, to financial services, coupled with rising technology adoption, are really driving innovation. As a result we are seeing some exciting solutions emerge which would never be conceived in the developed world because they don’t face the same challenges or have legacy systems that it would not be practical to move away from. What do you think are the most exciting startups/innovations in Africa right now? I would say SafeMotos who I already mentioned. I’ve met the team and they are excellent. They are also being really innovative in the way they approach some of the challenges they face, for example, they found a way to use city landmarks as a work around to help moto drivers who typically do not own smartphones, to locate their customer without the need for GPS. Another exciting startup is Andela, which trains African software developers and connects to jobs with global tech companies. They recent raised $24 million from investors including Mark Zuckerberg.